I tried to put up a post yesterday, but looks like the wireless access timed out just as I was hitting the publish button! Wednesday was a very eventful day with the booth as busy as ever even though it was raining (a lot!). I was able to have a great chat with a Prepar3D developer, WarpD, whom was visiting the show. He is a very experienced FS and P3D developer with a lot of knowledge on .air files. We spent some great quality time together discussing Prepar3D! The theme yesterday was one of surprise and excitement from many of the visitors that are current users of FSX finding out that we had created Prepar3D from the original source. Visitors to the show are getting an exclusive 30 day free trial for Prepar3D and the advertising cards with this special are going like wildfire! We have also had a great mention in the Aviation Week blog this morning! Click here for more information! 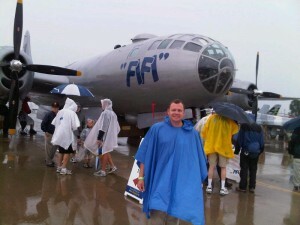 John Nicol will be at AirVenture 2011 at Oshkosh, Wisconsin from the 25th to the 31st of July. Hosted by the Experimental Aircraft Association, he will be located within the Learning to Fly Pavilion showing Prepar3D. He will also be presenting an overview of the software on Monday at 10 AM and Wednesday at 1 PM in the Learning to Fly Presentation Forum. Come and say hi and get a special invite to download a 30 day trial of Prepar3D! If you are a registered developer, introduce yourself and get a limited edition developer lapel badge! 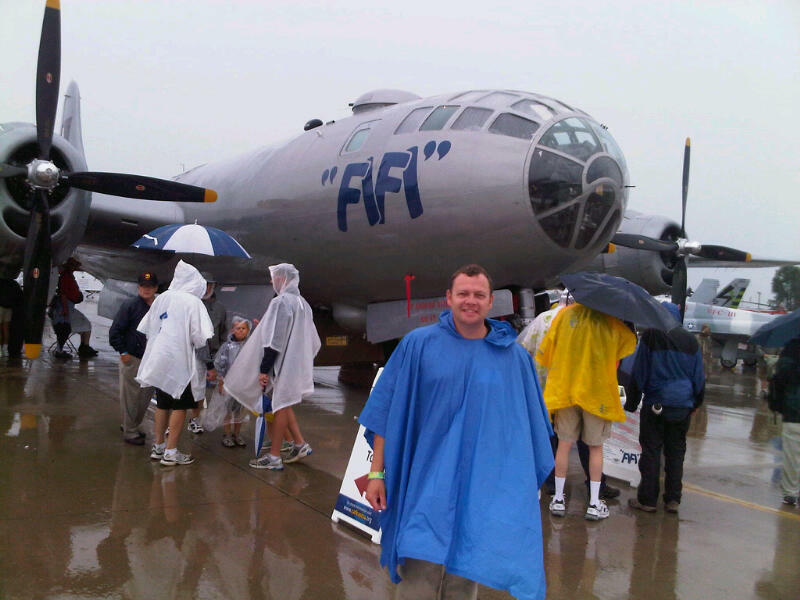 It is official, I am off to AirVenture 2011. I am really looking forward to being part of the largest gathering of homebuilt and unique aircraft on the planet! I was lucky enough to have been there on holiday in 2007 with my family camping in the Camp Scholler grounds on site. 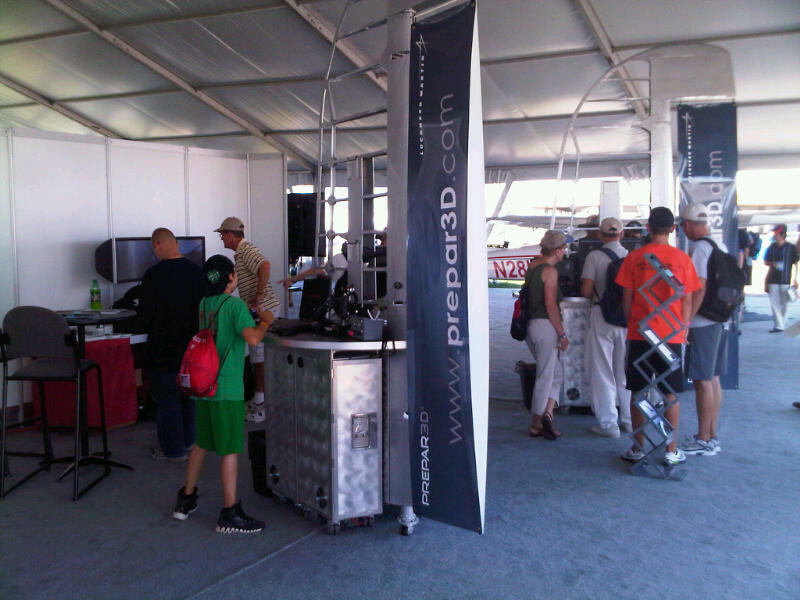 I am looking forward to being there again with Prepar3D and showing it off to the visitors and exhibitors there. A big shout out to MadCatz and GoFlight who will be loaning some brand new hardware just launched to connect to Prepar3D on the booth. There are also some of our simulation customers at the show also and I will be visiting their booths and having a chat and catching up. I will be located in the EAA Learning to Fly Pavilion, if any of the developer community are attending, please come to say hi and I will also have a special gift for you of a limited edition Developer Network lapel pin. (They look pretty cool.) I will also be giving out 30 day free trials of the software as well, which is something we haven’t done before at a public venue, so looking forward to seeing the levels of interest.